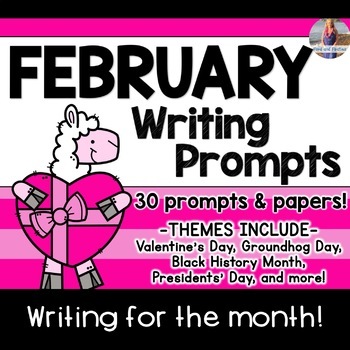 Year Long Writing Prompts & Writing Paper BUNDLE! Download after this date to ensure the best product! 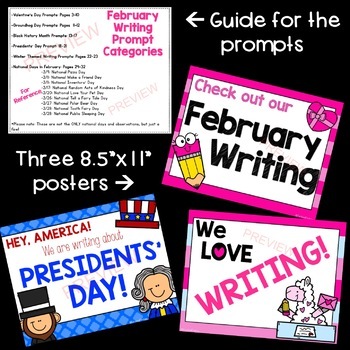 This product contains 30 different writing prompts for your students to work on during the month of February! Three posters are also included! 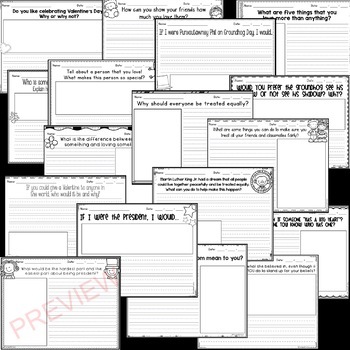 The pages vary in terms of clip-art (some have some, some have none, borders vary, etc.) and lay out. All are in back and white!